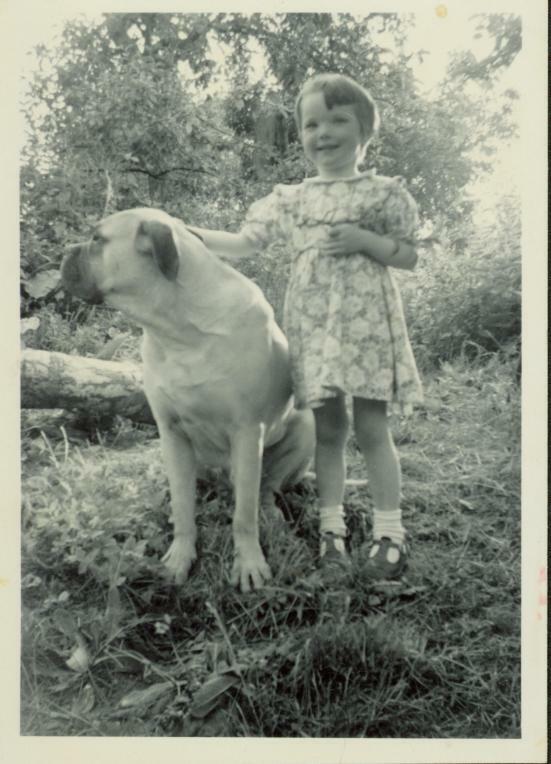 Handwritten annotation on verso: "Marchelle & Jackie (dog). Jackie - Weedonlee (sp?) Golden Monarch, one of the Pedigree Bullmastiffs, breed."